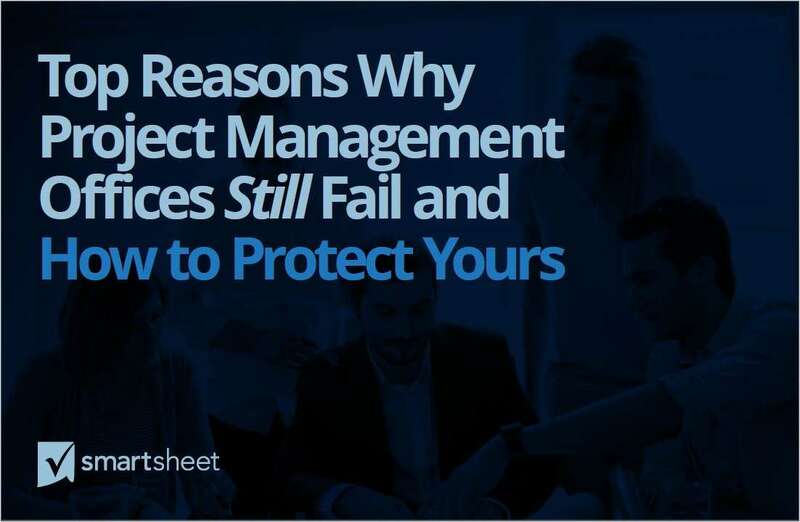 "Top Reasons Why Project Management Offices Still Fail"
Free eBook: "Top Reasons Why Project Management Offices Still Fail"
In a recent survey, over 70% of project management professionals report that project management is highly important to achieve their company’s desired revenue and profit goals. By submitting this content request, I have legitimate interest in the content and agree that Smartsheet, their partners, and the creators of any other content I have selected may contact me regarding news, products, and services that may be of interest to me. Are you in the market to purchase project management software in the next six months? What tools are you currently using on a day-to-day basis to manage your work? What Project Management Software are you currently using?